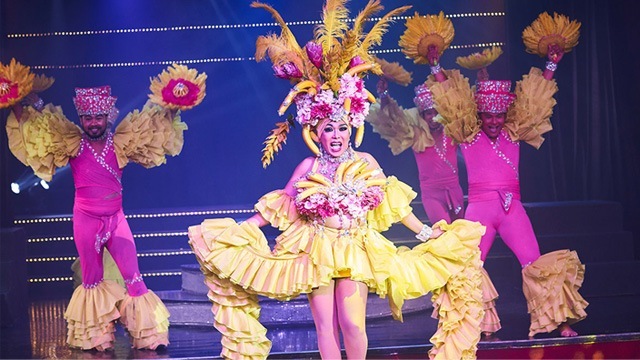 Showstopping performances from mostly gay and transgender performers are the big draw in Manila's premier entertainment venue. Nightclubs and entertainment hotspots have notoriously short lifespans. Rare is the establishment that is still standing and bringing in the crowds 10 or even five years since it opened. That makes Club Mwah, a 15-year-old events and entertainment venue that puts on Las Vegas-type shows featuring primarily gay and transgender performers, a remarkable success story. Located in Mandaluyong City—away from Makati, Bonifacio Global City in Taguig or Quezon City, where the party crowds usually congregate—Club Mwah is run by a gay couple. Cris Nicolas is the creative in charge of costumes, choreography and the show's entire production, while his partner Pocholo Malillin handles marketing and operations. Cris Nicolas (center) is the creative brains behind Club Mwah's performances. He is also the business and life partner of Pocholo Malillin. 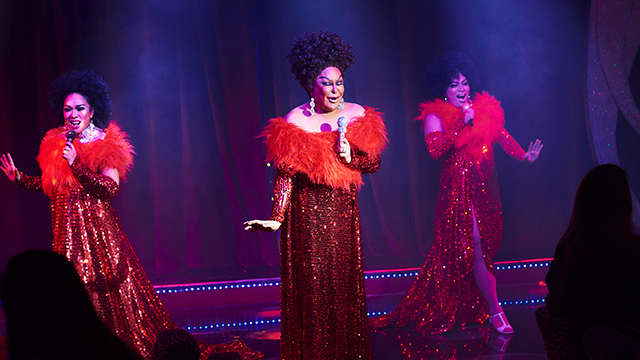 There are shows every Friday and Saturday—a dizzying, sometimes jaw-dropping parade of performers dancing and lip-syncing to popular show tunes and dressed in spectacular sequin-covered, rhinestone-studded costumes. There is also a comedy routine, where two hosts—including Nicolas himself, decked out in full glittery evening gown and Afro wig—flit about from table to table, dropping jokes and saying hello to guests. It's all benign and innocuous fun, but for a time, the Club had to contend with mistaken assumptions that they offered entertainment of the "adult" kind. "When we started in 2003, it was really hard because people thought we were a gay bar," Malillin says. "For one thing, who owns Club Mwah? A gay couple. So people already had preconceived notions about (the kind of entertainment) we offered. Some even asked if we have ladies for hire. I very quickly tell them that no, this is not that kind of place." Most of the performers in Club Mwah are gay or transgender. All of them undergo audtions and intensive dance training before they can perform. The turning point came when they invited a group of ladies who engaged in ballroom dancing to come and watch the show. The ladies told stories of the visit to their husbands, many of whom got upset that their wives would spend time in a place where they thought men danced around naked or in skimpy underwear. But the wives explained what Club Mwah was all about and even convinced their husbands to join them on their next visit. "So they all came here and they saw for themselves what we offered," Malillin says. "And then they were the ones who started telling other people about us." It helped that they got publicity from media outlets like broadcaster Korina Sanchez, whose magazine-type TV show at the time (Rated K), was one of the first to feature Club Mwah. "It snowballed from there. People gave us good reviews. They understood that we offer world-class entertainment comparable to Las Vegas, Broadway in New York and Moulin Rouge in Paris." Malillin says his original business was to deploy dancers and entertainers to Japan, back in the 1980s and 1990s when the North Asian country welcomed such workers in droves. The founder says he worked hard to professionalize the industry, even putting up a dance studio and a learning center to make sure their entertainers were well-trained. "We had to do that so we could erase the stigma attached to people working in Japan—the so-called Japayukis," he says. "We were a legitimate talent agency. We never did anything illegal." A change in government policy during the administration of former President Gloria Macapagal-Arroyo led to the entertainer jobs in Japan drying up, which meant Malillin and his partner needed to find another way to sustain the business. 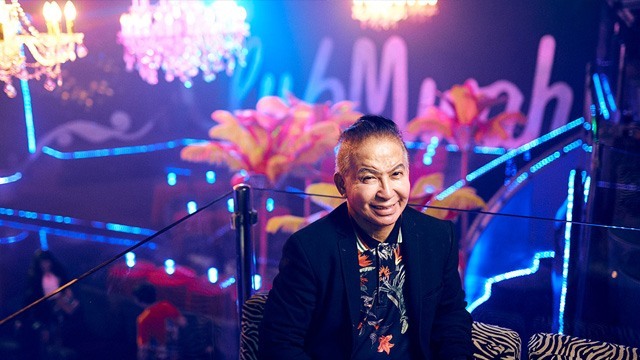 At 75 years old, Pocholo Malillin still actively runs the business side of Club Mwah, taking time to personally greet guests before and after the show. He also negotiates with clients who want to hire the performers for corporate events. Fortunately, by that time, the company already had its own seven-story building along Boni Avenue. He says it was a natural decision to open their own club. They invested in the interiors, making sure it had the "wow" factor to make it worth people's time to go there. One person Malillin credits for his immeasurable support to his business is revered businessman Washington Sycip. The story has already been told in several other media outlets, but Malillin feels he cannot overstate how much the SyCip, Gorres, and Velayo founder has helped Club Mwah. "He visited us many times ever since (designer) Jeannie Goulbourn first brought him to the club," Malillin says. "He would often bring his foreign guests here after having dinner at his house. For his 90th birthday party celebration at Makati Shangri-La, he requested our dancers perform a medley with an "around the world" theme. And he even hosted a more intimate birthday gathering at Club Mwah. There were only 60 guests, including ambassadors and all the tycoons of local big business." Sycip was so fond of Malillin and Club Mwah that there was even a special mention of the club in his 90th birthday book. In it Sycip wrote, "I am 91 (years old) because of Club Mwah." 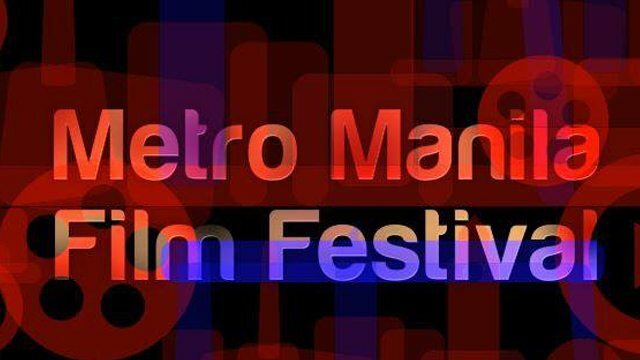 Today Club Mwah still has weekend performances, for which audiences pay a fee of P700, but Malillin says a bigger chunk of the company's revenues come from different companies hiring the performers for corporate events and functions. Follies de Mwah, or what the group of performers are called, have strutted their stuff in front of many companies and groups over the years. Most recently, San Miguel Corp. asked them to perform a number inspired by the film The Greatest Showman. "Liberty Flour Mills, the company that manufactures and sells flour and its by-products, recently celebrated their 50th anniversary and they asked us to create a traditional Chinese tableau. So we did it. Their company president was even part of it. He was the last emperor." Malillin says they could put together a show customized to the client's wishes in as little a time as one week. Club Mwah employs its own tailors, seamstresses, electricians, lights and sound system operators so everything from costumes and props are included in the fee. They would even consider canceling a weekend show in Club Mwah if it coincides with an on-location job. From a business standpoint, this makes sense, as the company doesn't have to spend for things like electricity and extra manpower to mount the show at the club. Malillin is 75 years old but he says he doesn't feel his age. He believes that what rapidly ages a person is if he is tormented by conscience and guilt. "If you're into business and you do something unsavory, you'll always be afraid. You'll never be at peace. When we perform outside and I sign the contract, whatever I promise, I have to deliver, to the last detail. Because if you don't, that's it, your credibility suffers. It will multiply and you'll end up suffering for it." Still, at this age, Malillin feels he is ready to give way to the next generation to keep Club Mwah and the joy it gives people alive. An adopted son is learning to operate lights and sound, while nephews and nieces are learning the ropes of the business. "Club Mwah is known internationally," Malillin says. "We are very proud of our achievements. And it's not just about making money. It's a combination of business and artistry." Besides the unique entertainment factor they offer, the club owner feels the reason Club Mwah has lasted 15 years is the fact that they have managed to keep their integrity intact. As an out-and-proud gay businessman, Malillin feels that other gay businessmen often suffer from an unfair reputation as being untrustworthy or as someone not to be taken seriously. But he hopes his own success with Club Mwah will make people rethink their prejudices. "I am a product of San Sebastian College," he says. "It's so hard to be out there (as a gay man) without having something you can be proud of. If you've proven something in your career, you're very proud of who and what you are. If you're a nobody, then you just sit in a corner and be quiet. You think people would see me hobnobbing with important people if I didn't have Club Mwah?" "Remember that nobody likes a loser," he adds. "Everybody loves a winner. If you're gay and you've accomplished nothing, you're nothing. But if you're gay and you're contributing to the community and are well-respected by society, then wow. You've made it."